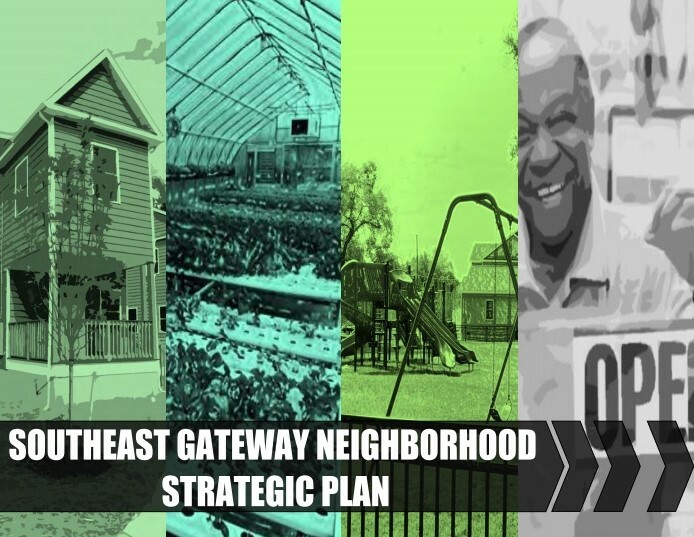 Read our Southeast Gateway 2018 Strategic Plan. Click here. process and begin reaching out to the residents and stakeholders in the community. 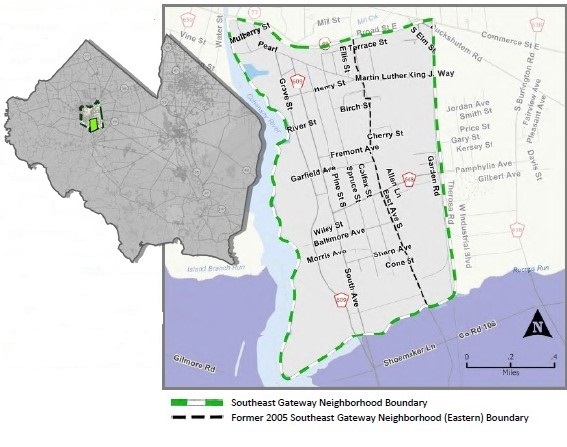 as defined in the 2005 Plan, but also includes additional land to encompass the Cherry Street School, the Florida Avenue Industrial Park, commercial properties in the northwest corner of the neighborhood, and other areas that offer locations for new development or redevelopment. meetings to discuss issues and define the top planning priorities. the need for new lighting and streetscape improvements; issues involving public safety; new opportunities for retail and commercial development; jobs and job training; and programs for youth. circulation project was designed along NJ Route 49 to enhance traffic safety. will provide the catalysts for neighborhood-wide revitalization.